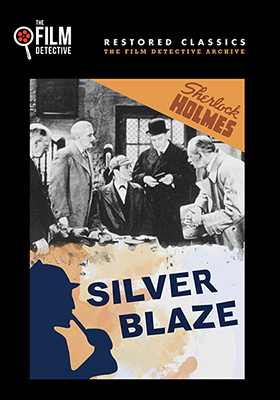 The Film Detective, hot on the heels of ten new film restorations for delivery to DVD on Oct. 4, is back this week with ten additional restorations that will be retail-ready on Oct. 11. The legendary Corriganville — out in the wilds of Simi Valley — is the shooting location for writer/director Harry Fraser 1945 Western, Enemy of the Law, starring Tex Ritter and Dave O’Brien. Western villain, Charles King (who was literally “King” of the Western bad guys) plays Charley Gray, an inmate about to be released from prison who has the only map to a quarter of million dollar worth of pilfered gold (and that’s when gold was $16 an ounce). He knows that even his own men will kill him for it, so he hides the map in a very “unique” place! Texas Rangers, Tex Haines (Tex Ritter) and Dave Wyatt (Dave O’Brien) — who made a total of eight of these “Texas Ranger” films for PRC during 1944 and 1945 — have to find the gold, save one of their own from deadly danger and contend with Gray’s outlaw gang, who will stop at nothing to get the loot! Also on the Western front from the Film Detective on Oct. 11 are two starring Tom Tyler — Fast Bullets (1936, directed by Harry S. Webb, co-starring Margaret Nearing and Rex Lease) and Ridin’ On (also 1936, directed by Harry’s brother, Ira Webb, and co-starring Joan Barclay and Rex Lease). It’s 1949, the war is over, and construction is booming, especially roads and new tunnels. That’s the subject of director William H. Pine’s 1949 action film titled, Dynamite, starring William Gargan, Virginia Welles and Richard Crane. New “blasting” techniques learned during the war clash with “old school” ways of blowing things up as Johnny (Richard Crane) — fresh from the war — battles “Gunner” (William Gargan) for the affections of Mary (Virginia Welles). 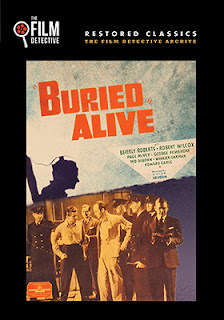 Director Victor Halperin’s 1939 film release of Buried Alive is one of those “poverty row” programmers that finds the local prison’s executioner, Ernie Matthews (George Pembroke) not only head-over-heels in love with fellow prison employee, Joan Wright (Beverly Roberts — China Clipper, Her Husband's Secretary, etc. ), but tired of his job. She, however loves the warden’s chauffeur, Johnny (Robert Wilcox), who is a trustee and about ready to rejoin society. 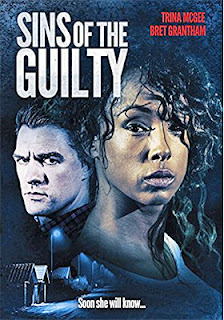 But when a murder occurs within the prison walls, Johnny is framed — and quickly — sentenced to death. Will Ernie do his duty and get the girl of his dreams, or will he ferret out the real culprit and end up losing any chance of getting Joan! All of this in a hectic 62 minutes! 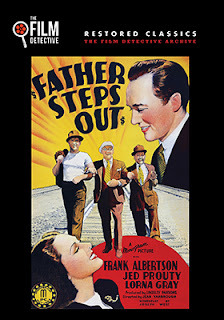 Also to be found in the Oct. 11 mix from the Film Detective are All the Kind Strangers (a 1974 MOW starring Stacy Keach, Robby Benson, John Savage and Samantha Eggar), Divorce His, Divorce Hers (1973, starring the “Battling Burtons” — Liz and Richard), Career Girl (1944 with Frances Langford), Father Steps Out and the 1937 Sherlock Holmes film, Silver Blaze (aka: Murder at the Baskervilles), starring Arthur Wontner (his fifth and final appearance as the famous detective) as Holmes and Ian Fleming as Dr. Watson (Ian Fleming the actor, not Ian Fleming the 007 author). This is the film that literally launched the film career of Daphne Zuniga — soon Vision Quest, The Sure Thing and her legendary performance in Spaceballs as Princess Vespa would follow in short order. This classic “slasher” film begins with two separate, but related narratives — a college student named Kelly (Zuniga) has pledged a sorority and there is a deadly breakout at a nearby nut house. Of course these seemingly random events will come together and much carnage will ensue, but not before a great deal of skin is revealed at the sorority house. If you are a genre fan, then you will immediately recognize the silly sorority “initiation” of Kelly and two other pledges (Marilyn Kagan and Hunter Tylo) — breaking into a shopping mall after hours — and the college “boys” dispatched to terrorize them as the raisonnement for the formation of “the victim pool.” Every good slasher film needs a victim pool … preferably peppered with attractive young women. Once inside the department store, a mysterious stalker — a delightful twist that you really don’t see coming as the script gives you plenty of red herrings — begins picking off the college students one, by one … by one! 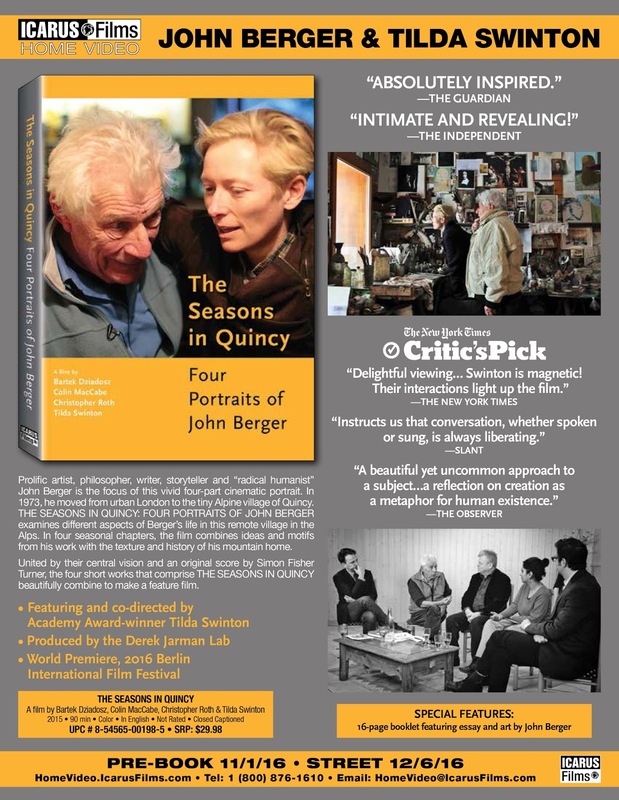 Bonus features include commentary from the podcast group, “The Hysteria Continues,” and two newly minted video sessions with actors Christopher Bradley and Joy Jones. Paramount Home Media’s 50th Anniversary celebration of Gene Roddenberry's Star Trek franchise will continue on Nov. 15 with the three-disc Blu-ray present of Star Trek: The Animated Series. 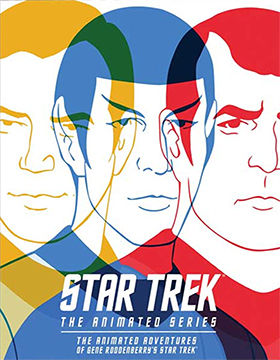 Star Trek, the landmark television series finished its three-season run in June of 1969 and a vacuum was immediately created. Little did they know that Trekkies had been born and they wanted more, more and more adventures featuring Kirk and Spock and the rest of the crew of the Starship Enterprise. 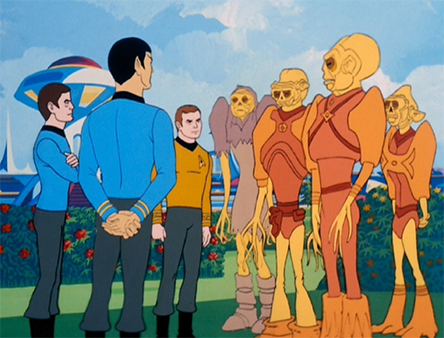 It wouldn’t be until December of 1979 when Paramount would deliver the Star Trek: The Motion Picture … but what to do until that star date arrived. 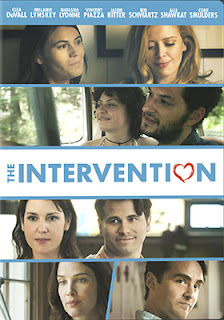 In other release news this week, Paramount Home Media has selected Nov. 29 as the DVD debut date for writer/director Clea DuVall’s The Intervention. The ARR works out to 95 days and ticket sales generated in the film’s very limited theatrical run come to $32,919. In a radical twist on a family or friends “intervention,” a group of Generation X couples plan a getaway a beautiful lakeside vacation home (filmed in and around Savannah, Georgia) for a weekend of “catching up;” a reunion if you will (think: The Big Chill). Organized by Annie (Melanie Lynskey — Heavenly Creatures, Up in the Air, etc. ), the plan is not to fix things, to stop bad habits — like drugs or alcohol addiction — but to tear something apart. That would be the marriage of Ruby (Cobie Smulders) and Peter (Vincent Piazza). Annie, what are you thinking!!! Of course this is a very bad idea … but once there, in this paradise, you have to make the best of it! John Berger, artist, philosopher, novelist and playwright is the subject of Icarus Films’ Dec. 6 DVD release of The Seasons in Quincy: Four Portraits of John Berger. The film played the festival circuit earlier this year, followed by a very limited arthouse run and arrives in the home entertainment arena with an ARR of 95 days and ticket sales of $16,738. 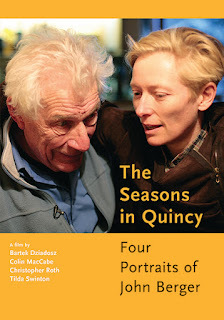 These are variously titled: “Ways of Listening,” “Spring,” “A Song for Politics” and “Harvest” … and each segment is directed and presented by associates, contemporaries and admirers — all artisans in their own right. The first, “Ways of Listening,” is directed by University of Pittsburgh professor Colin MacCabe and features Oscar-winning actress Tilda Swinton, MacCabe and Berger in an intimate (as friends) “catch-up” of old friends (Swinton and Berger share the same birth date, although years apart … and are known to refer to each other in terms of “twins”). 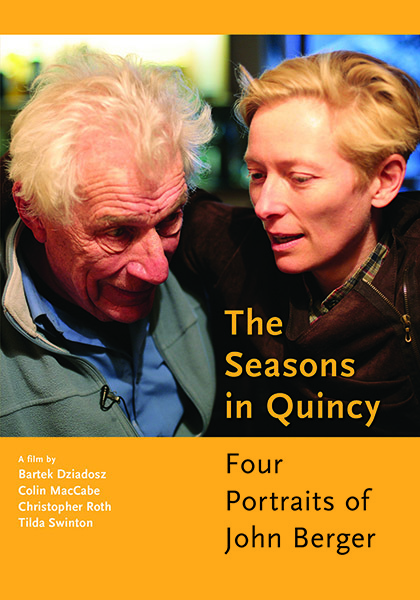 Swinton returns in the fourth segment (“Harvest”) as the filmmaker, where her children and Berger’s son, Jacob, spend time together in the Scottish Highlands. 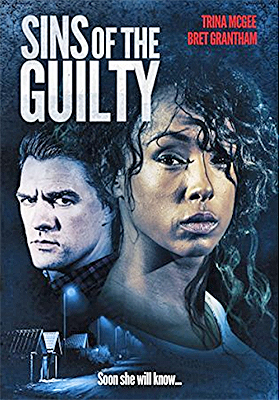 Pop Twist Entertainment, with sales and distribution support provided by MVD Entertainment Group, has selected Oct. 11 as the DVD release date for director Marcello Thedford’s murder thriller, Sins of the Guilty. Vanessa (Trina McGee — Confessions of Isabella, Friday After Next, etc.) is not stupid, she comes from wealth, has an education and is in every way imaginable upwardly mobile. Stupid, no, but she is stubborn, petulant and naïve. She decides to forsake her domineering mother and the world of privilege that goes with all of that emotional baggage to follow her dream as a dancer. Her first mistake is her choice of environment — one that is alien and with an edge; a dangerous edge. It’s nothing like the place she grew up in. Chalk that up to rebellion. Next is her choice in men — violent, unfaithful and without ethics. Love can be blind, but So when her lover is murdered (for reasons all most too numerous to count) and her mother quickly follows, it becomes apparent that our lovely young lady has wandered down a dark alley that might be a dead end … in more ways than one! for Vanessa it could be fatal. Cinema Libre has tabbed Oct. 18 as the DVD debut date for author, political activist and documentary filmmaker Greg Palast’s Best Democracy Money Can Buy. The film will play a few dates theatrically before reaching the home entertainment market place prior to this year’s presidential election. For the record, the ARR works out to just 25 days from its theatrical launch to the date of its DVD release by Cinema Libre. Reported ticket sales from its "media awareness" theatrical run currently stand at $11,739. 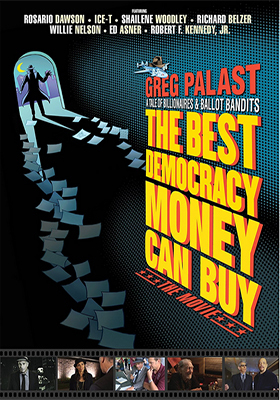 Palast takes a hard look at the different schemes, including “Operation Crosscheck,” that are employed to rig elections at the state level. He zeroes in on billionaire hedge fund manager John Paulson and equally rich venture capitalist John Singer and the infamous Koch brothers as the likely sources for the funding of these clandestine operations. FilmRise, with sales and distribution support provided by MVD Entertainment Group, has tabbed Oct. 25 for the DVD debut of documentary filmmaker Ido Mizrahy’s Spanish-language import, Gored. For most, bullfighting is subject of movies and/or some sort of animal rights issue. 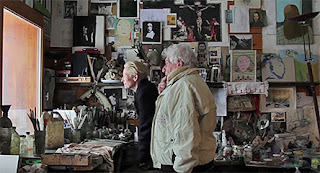 An abstraction for most, but for Antonio Barrera, the subject of Mizrahy’s documentary, it is a matter of life, honor, brutality, beauty and death. He has been gored 23 times … his wife wants to him to give up. One last time he says … once more into the arena; one final face-to-face with death! 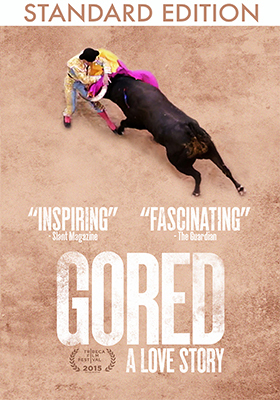 Gored is presented in Spanish with English subtitles.